Bidding farewell to winters in a way is to look forward to exploring the best places to visit in India in April with the onset of summers. 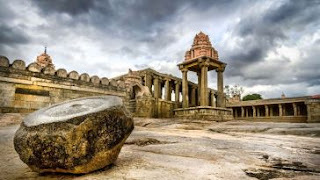 As it is a known fact that summers in India have the ability to prick one to the core, here’s a list of best tourist places to visit in April in India where one can relax and enjoy with affordable India tour packages. In the words of Jahangir, if there’s ever a heaven on earth, it’s here” and having said that, he’s absolutely true about Kashmir and its natural beauty. 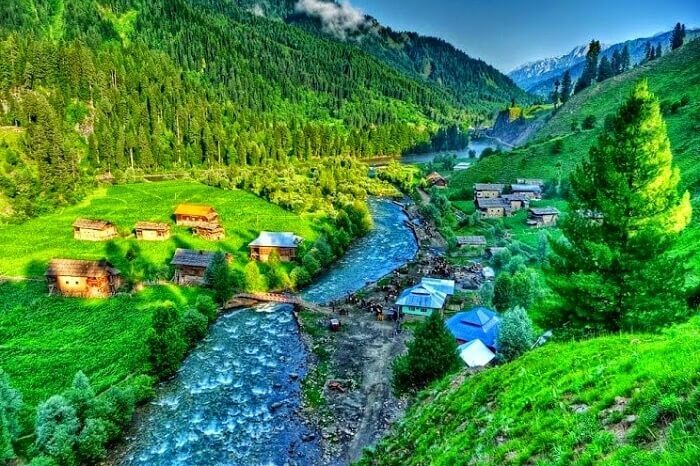 Whenever there’s a mention of top 10 places to visit in India in April, Kashmir always tops the charts being a natural paradise. The best of Jammu and Kashmir tour is often the first choice of travelers when it comes to beating the heat in summers. Weather in April: The weather in Kashmir during the month of April is a little dry but it can rain anytime in Kashmir. Usually, the temperature ranges from 14°C to 21°C in April. Major Attractions: Jammu city, Srinagar, Leh, Gulmarg, Kupwara, Sonmarg, Doda, Pulwama, Pahalgam and many more. Things To Do: Take a Shikara Ride in Dal Lake, trek through the Zanskar Ranges, go mountain biking in Ladakh, enjoy skiing in Gulmarg and much more. By air, travelers can take domestic flights from major cities in India till Srinagar domestic airport. The nearest railway station is that of Jammu which is located 290 kilometers from the city center. 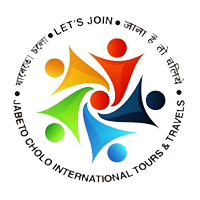 Reliable and economical bus services can be availed from nearby cities as well. Your list of places to visit in India in April month is totally incomplete if you haven’t included the much famed summer retreat of Dalhousie. 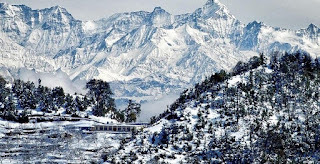 Surrounded by the snow-clad mountains and being one of the top 10 cold places to visit in India in April, Dalhousie completes every joyous Himachal tour package at any given time. Weather in April: Dalhousie enjoys a pleasant climate during summers. The average temperature that has been recorded is a maximum of 26°C so far. Major Attractions: Kalatop, Panch Pulla, Chamera Lake, Dainkund Peak, Sach Pass, St. Patrick’s Church and more. Things To Do: Go sightseeing at Panch Pulla, dive into Satdhaara Falls, enjoy boating at Chamera Lake, explore the Kalatop Wildlife Sanctuary and much more. Pathankot is the nearest airport as well as nearest railway station located 75 kilometers and 80 kilometers away respectively. You can also take a bus from Delhi or Chandigarh to Dalhousie and enjoy scenic views on the way. This little gem of Himachal Pradesh is one of the surreal places to visit around India in April. Encircled by mighty mountains and lush greenery, Dharamshala redefines the beauty of nature and holds the capability of surprising you with snowfall too. 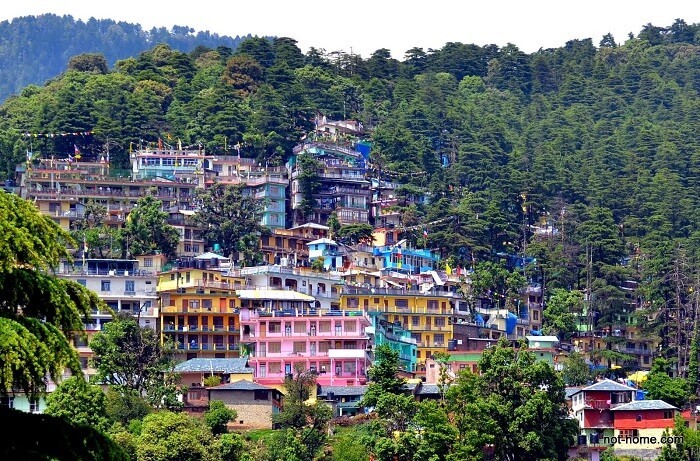 Enjoy sightseeing of the ever beautiful Dharamshala which is often combined with a tour to Dalhousie. Weather in April: Dharamshala usually is warm in the daytime during April whereas in the night, it can get equally cold. The maximum average temperature is around 24°C and it can also rain anytime in Dharamshala. Major Attractions: HPCA stadium, Tibetan Museum, Kalachakra Temple, Kangra Valley and the War Memorial. Things To Do: Fly high with paragliding, trek to Dharamkot, go on a sightseeing tour, enjoy trekking to Kareri Lake, camping at Lahesh caves and much more. Gaggal airport is the nearest airport located just 13 kilometers away from Dharamshala whereas Pathankot railway station is the closest at a distance of 85 kilometers. You can also book luxury volvos and buses through private bus operators as Dharamshala is well connected with major cities in North India through roadways. An overnight journey can take minimum of 12 hours to a maximum of 15 hours. Nestled amidst the majestic Pir Panjal and Dhauladhar ranges, Manali enjoys its central location in Himachal Pradesh and offers scintillating views of the Himalayas at its best. Covered with dense pinewood forests, Manali is one of the best snowbound places to visit in India during April. Weather in April: Manali enjoys a delightful weather during the summers wherein the temperature ranges between 10°C to 25°C. Major Attractions: Hidimba Devi Temple, Jogini Falls, Solang Valley, Rohtang Pass, Bhrigu Lake, Pandoh Dam and Great Himalayan National Park. Things To Do: Enjoy sightseeing in Manali, Go paragliding and rafting in Solang Valley, Feel relaxed at Shri Hari Yoga Ashram, bike through the Rohtang Pass, ride a yak at Manali wildlife sanctuary, shopping at Mall road and more. Bhuntar airport is the nearest airport located just 50 kilometers away from Manali. You can also take the private and state-run buses from destinations like, Delhi, Leh, Dharamshala and so on. 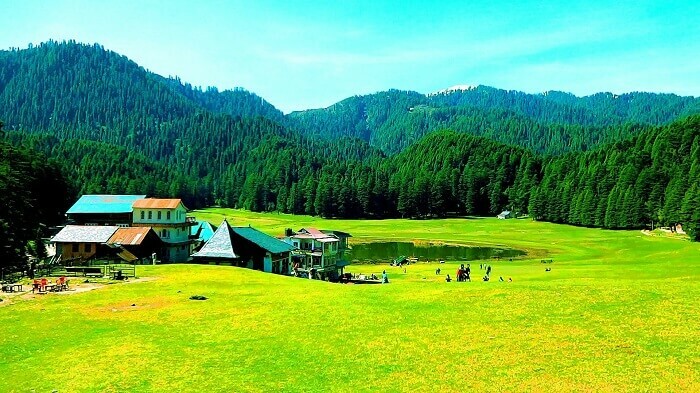 Recognized as the Switzerland of India, Khajjiar should totally be on your list of good places to visit in India in April. 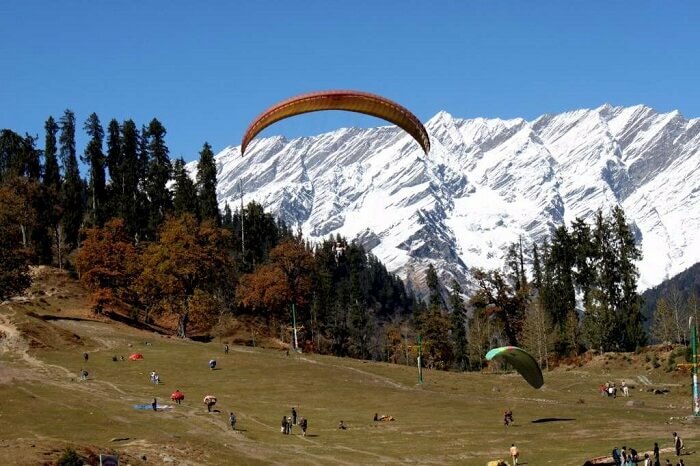 Surrounded by snow-clad mountains on all four sides and owing to its natural beauty, paragliding in Khajjiar attracts a lot of travelers throughout the year. Weather in April: Khajjiar enjoys a mild climate throughout the summers and the temperature is between 17°C to 30°C. Major Attractions: Khajjiar Lake, Golden Devi temple, Khajj Nag Temple and Tibetan Handicrafts Center. Things To Do: Enjoy the Khajjiar trek, go paragliding and zorbing, explore the Chamera Dam and visit Bhuri Singh Museum. You can reach Khajjiar from Khajjiar Dalhousie that is 22 kilometers away and Chamba which is 24 kilometers away. The nearest railway station is that of Pathankot from where one can take reliable taxi services. Located in the Dehradun district, Mussoorie is the gem of Uttarakhand. Located in the Garhwali Himalayan ranges, Mussoorie is often recognized as the Queen of the Hills in the Northern India. 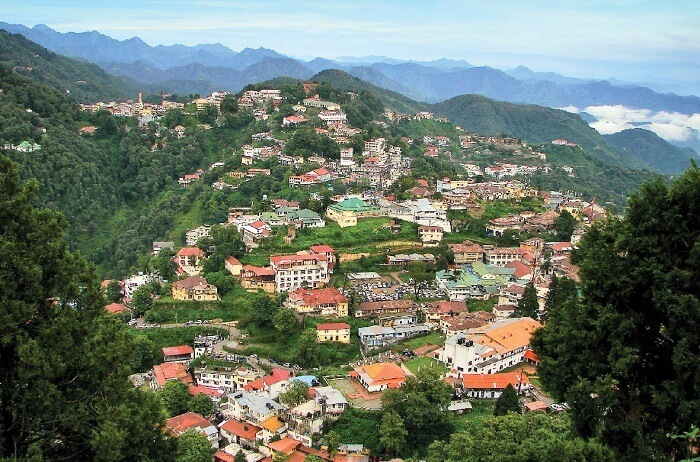 Located at 1880 meters above the sea level, places to visit in Mussoorie offer peaceful environs for everyone alike. Weather in April: The weather in Mussoorie is that of a moderate one. The temperature ranges between 10°C to 30°C. Major Attractions: Lal Tibba, Company Garden, Kempty Falls, Camel’s Back Road, Gun Hill, Jwalaji Temple and more. Things To Do: Enjoy a cable car ride from Jhulaghat to Gun Hill, go on Yamunotri Saptarishi Kund trek, enjoy the thrills of ziplining and zip swings at Skywalk, experience the best of rock climbing and more. The Jolly Grant airport in Dehradun is the nearest airport located just 54 kilometres away. Mussoorie can also best reached by self drive from Delhi. 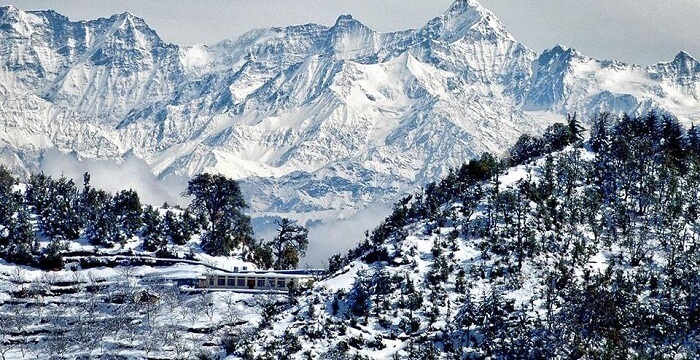 An overnight train journey from New Delhi will take a maximum of 6 hours to reach Mussoorie. 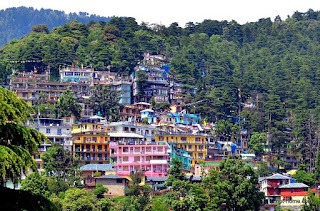 A beautiful hill station of Himachal Pradesh, Kasauli is much famed to have served as the resting place of Lord Hanuman when he was on the lookout for the famous life-saving herbs in the Himalayas. Set amidst the mighty Dhauladhar ranges, Kasauli is indeed one of the best tourist destinations in Himachal Pradesh. Weather in April: Kasauli enjoys a pleasant climate during summers and the range of temperature lies between 14°C to 28°C. Major Attractions: The Hanuman temple, Sunset Point, the Christ Church, Gilbert Trail, the Monkey Point and more. Things To Do: Trek through the Lower Mall road, experience nature walking to the Sunset Point and the Gilbert Trail and go shopping at Tibetan market. Kasauli can be reached via bus from Parwanoo which is 7 kilometers away. At a distance of 4 kilometers, Sonwara is the nearest railway station. Chandigarh Airport is the nearest airport to Kasauli which is 25 kilometers away. The capital city of Sikkim and an extraordinary tourist destination located at a height of 5500 feet, Gangtok is a beautiful cosmopolitan town that offers a mix of cultures, natural attractions and the best of environment for a perfect summer holidays. Weather in April: Summers in Gangtok are usually mild with its average temperature fluctuating from 13°C to 22°C. Major Attractions: Nathu La Pass, Tsogmo Lake, Ranka Monastery, Hanuman Tok, Himalayan Zoological Park and Do Drul Chorten Stupa. 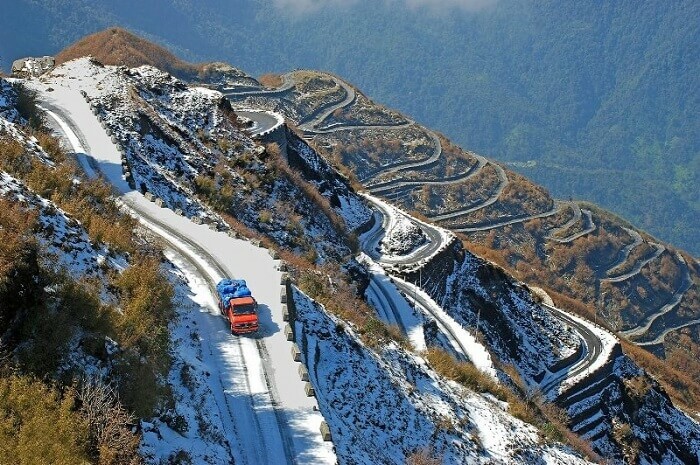 Things To Do: Drive to the Tsomgo Lake, visit the famous Do Drul Chorten stupa, explore the Rumtek monastery, drive through the Nathu La Pass and more. Bagdogra airport in West Bengal is the nearest airport to Gangtok that is 124 kilometres away. The nearest railway station is that of New Jalpaiguri in Siliguri which is 148 kilometres away. 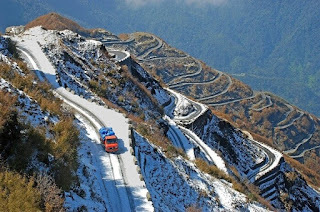 If you are based out of nearby places like Darjeeling, Siliguri, Kolkata or Kalimpong, do take a self drive to Gangtok for one of a kind experience. Famous for being an eminent stoppage in the Satpura range, Pachmarhi is evidently a tourist’s retreat which enjoys its shape of a bowl. 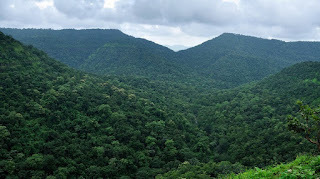 Also, it is the one and only hill station of Madhya Pradesh. Weather in April: The weather in Pachmarhi remains cool and pleasant with an average temperature of 22°C to 35°C. Major Attractions: Bee Falls, Dhoopgarh, Satpura National Park, Rajat Prapat, Jata Shankar Caves, Mahadeo Temple, Rajendragiri Sunset Point and more. Things To Do: Go trekking, hiking and biking at the Satpura range, go caving at the the Pandav Caves and more. The nearest airport to Pachmarhi are that of Bhopal and Jabalpur airports. State-run and private buses are available from nearby cities of Indore, Jabalpur, Bhopal and Nagpur. By rail, Pipariya railway station just 47 kilometers away from Pachmarhi. 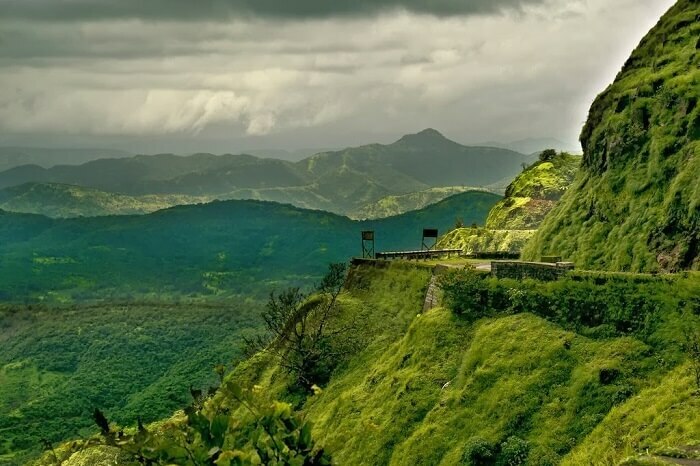 Enjoying its perfect location in the district of Pune, Lonavala is one of the famous tourist destinations in Maharashtra which is also apt for enjoying the summers of April. Full of beautiful meadows, lush green valleys and bustling waterfalls, Lonavala will never fail to impress its visitors ever. Weather in April: Lonavala is a year-round destination and enjoys a pleasant climate throughout the year which is the same in summers. The average climate in Lonavala ranges from 16°C to 34°C. Major Attractions: Khandala or the Lohagad Fort, Lion’s Point, Pavana Lake, Karla Caves, Rajmachi Fort, Tiger’s Leap and Korigad Fort. Things To Do: Go camping in Lonavala, Trek to Duke’s Nose and enjoy rappelling and valley-crossing, trek to Korigad, enjoy trekking and caving at Rajmachi and Kondane Caves. Mumbai airport is the nearest to Lonavala at a distance of 100 kilometers. Get down at Lonavala railway station if you’re journeying by train. Lonavala is also well connected to major nearby cities via private and Government buses.